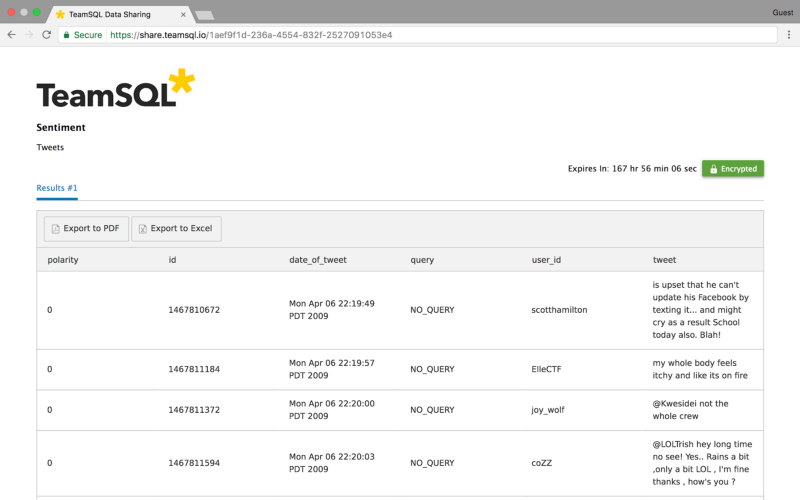 If you’ve ever wanted to share data with someone, but that person wasn’t a user of TeamSQL, you had to export the data and send it to that person. He or she would then have to import the data into the appropriate app to see your dataset. This process isn’t necessarily complicated, but wouldn’t it be nice if there was a more natural way to share data with someone? Anyone with this link can also Export to PDF or Export to Excel. Now, instead of sending over large datasets and ensuring that your data stays secure, you can send people a link that they can access. 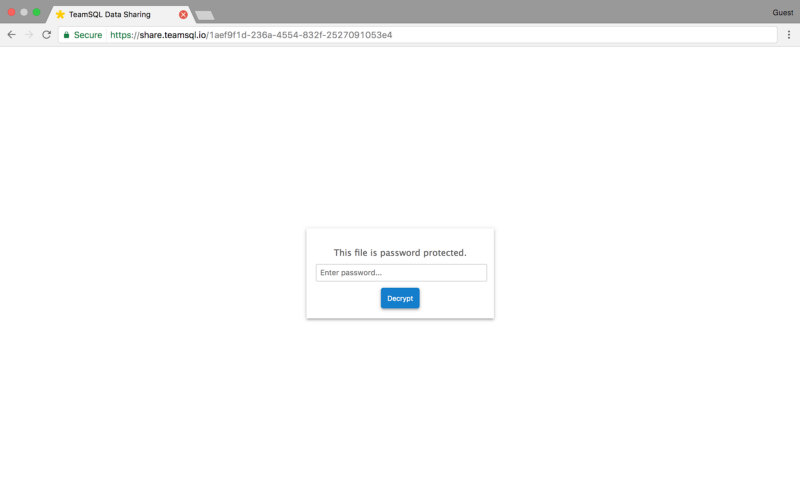 You can even password-protect your data so that someone can only gain access to your data if they have the correct URL and the password. 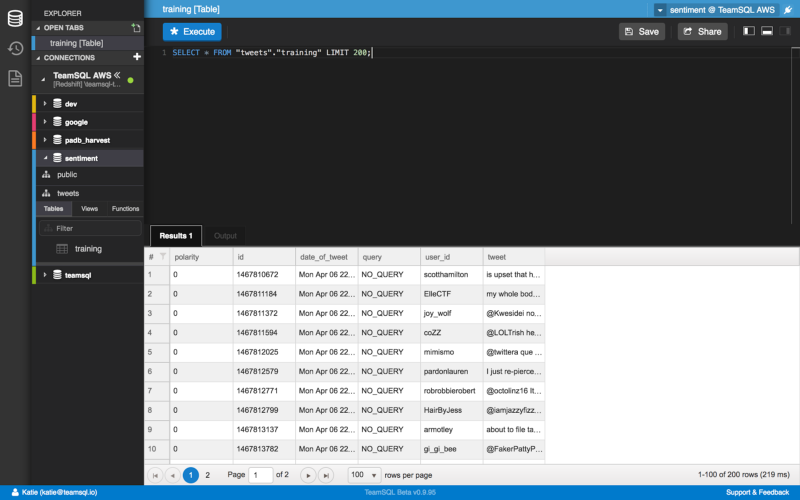 You can create a link to share a data table for any query that you run, so the first thing you’ll need to do is open up a new query window and execute a statement. 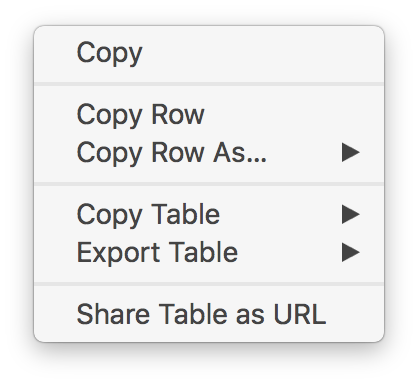 Click Share Table as URL. Encryption: Whether you want your table encrypted or not; if so, you’ll be asked to provide a password you need to share with your recipients manually. Please note that we cannot retrieve lost passwords. When finished, click Create Link. 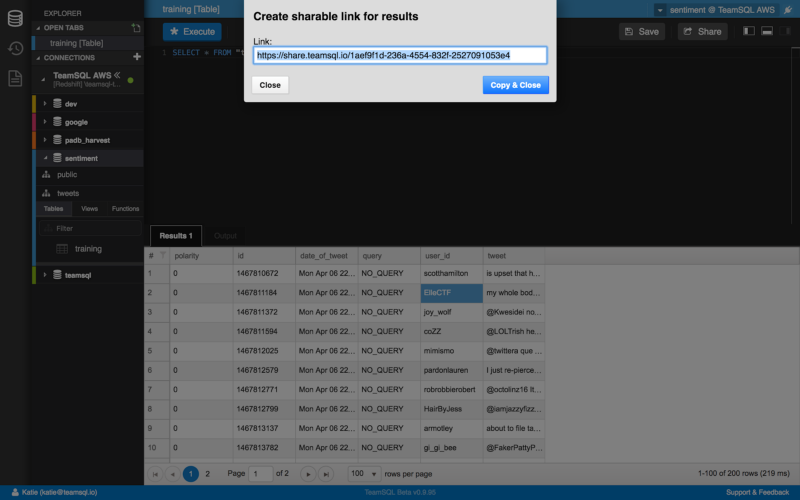 Soon afterward, you will see the URL you can share with your colleagues. 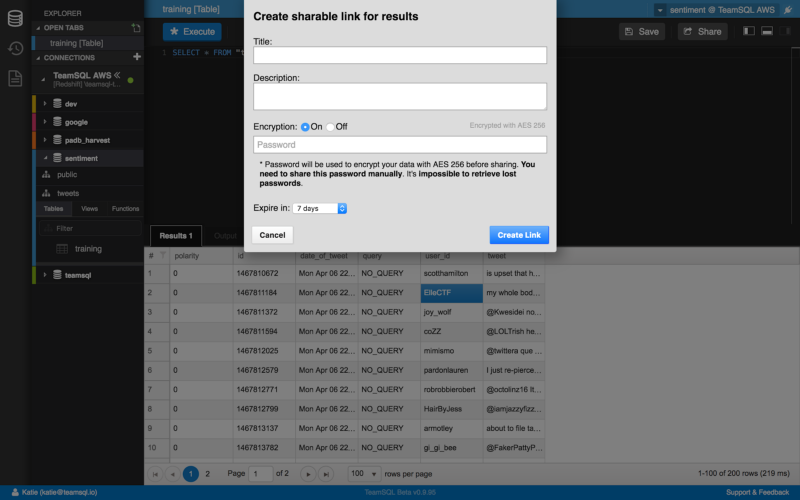 By entering the password you selected earlier, you can retrieve your dataset. Notice that there’s a timer in the top right that indicates the amount of time you have left before the link to this particular set of data expires. 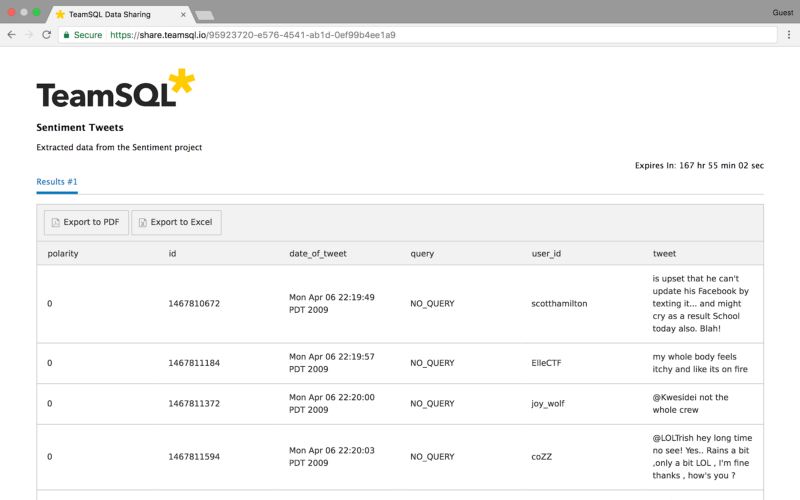 If you would like this data to persist outside of TeamSQL, you can use the Export to PDF or Export to Excel options to save your data to a secure location.